The concert will feature pianist Lưu Đức Anh, 23, a graduate of the Royal Conservatory of Liège in Belgium. The programme will introduce Liszt’s Annees de Pelerinage Volume 2 “Italie”, Transcendental Étude No. 7 "Eroica" and others. Tickets from VNĐ200,000-250,000 can be purchased at the venue. The German band VON WEGEN LISBETH, in co-operation with the Goethe-Institute Thailand, is putting on five concerts. 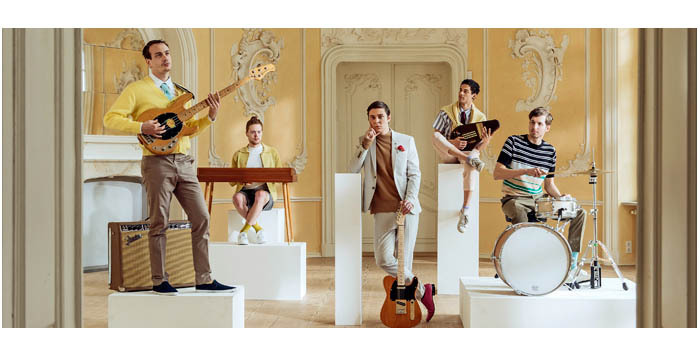 The concerts, come along with interactive workshops and talks in which German learners from the Goethe-Institut, PASCH partner schools and universities will get the chance to meet and exchange with the musicians. 5 Nguyễn Tất Thành Street in District 4. His performance in the city will be supported by Dj Ouch! from Switzerland and Heart Beat’s DJ Chris Wolter. Visual artist Erol of Heart Beat will give a lightning show during the night. Entrance is free before 11pm, and VNĐ150,000 after 11pm. 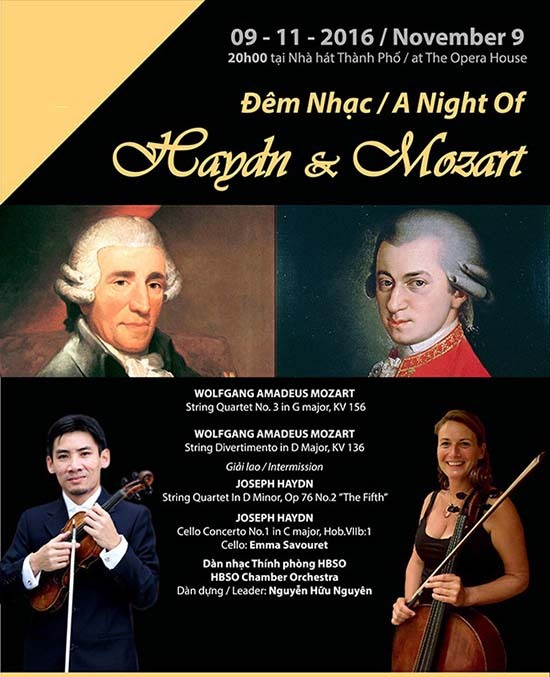 “A Night of Haydn & Mozart” will be performing well-known works from the two great composers: String Quartet No. 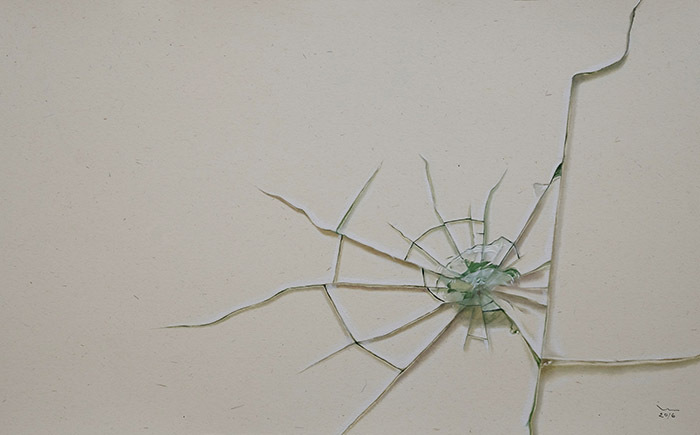 3 in G Major by Mozart, String Quartet No. 2 in D Minor by Haydn, String Divertimento in D Major by Mozart. Specially, Cello Concerto No. 1 in C Major by Haydn will be performed by a talented cellist from the French National Symphony Orchestra (Orchestre National de France), Emma Savouert. She has been guest artist of many prestigious orchestras in France. Emma Savouert will be using a special ancient cello from Nicolas-François Vuillaume which was produced in 1866. Under the lead and an honour to perform with in the concert will be violinist Nguyen Huu Nguyen, one of the soloists of the French National Symphony Orchestra. The Lotus quartet was founded in 2007 by a number of exceptional artists from the Vietnam National Symphony Orchestra (VNSO). 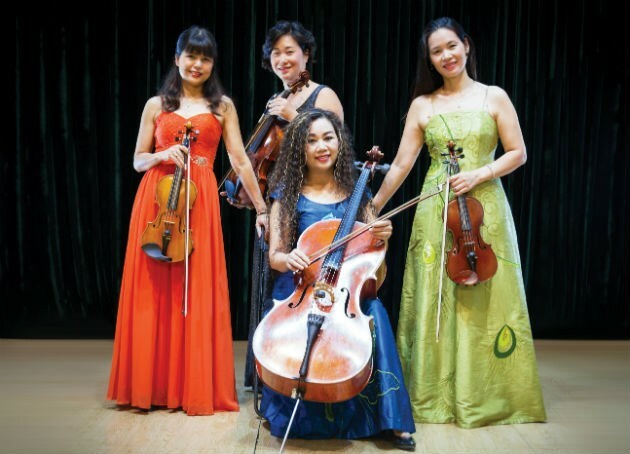 The quartet will present a mesmerising evening of music which consists of Vietnamese, French and Japanese melodies. Showcasing two new series of paintings by the Huế-based artist Nguyen Dinh Hoang Viet. Social housing represents an important page in the history of housing in Vietnam. Nguyen The Son and Tran Hau Yen The endeavour to testify the poetry of Social housing and document this form of housing and lifestyle that is gradually disappearing from the urban landscape. “Across the Forest” continues Tung’s deep-rooted fascination with the history and culture of the Jarai, the largest ethnic group in Vietnam’s Central Highlands, where the artist comes from. 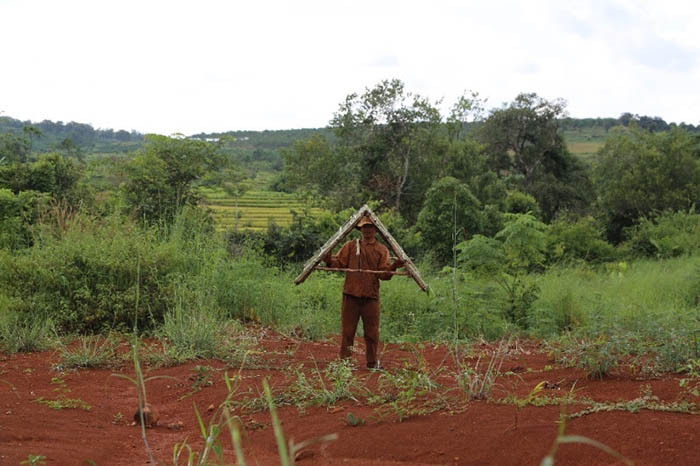 Fusing elements of folklore with his personal observations of the landscape and lives of the modern Jarai people, Tung’s video work paints a bleak portrait of the Jarai people’s situation and contemplates the state of a community confronted with numerous upheavals. The programme is part of the “2016 Month of Arts Practice” project. Visitors will have the opportunity to see two large works of outdoor art by foreign and Vietnamese artists from the “2016 Month of Arts Practice” project. 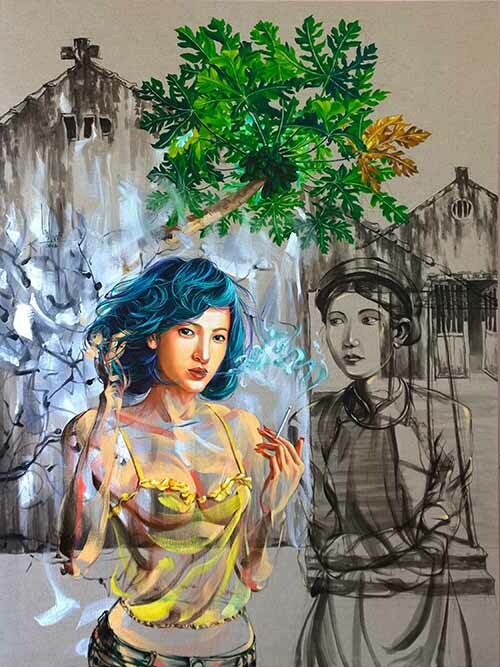 Nguyen Minh Nam’s latest collection “Fading Memories” is a further addition to his on-going work to depict the inevitable losses suffered by traditional Vietnamese culture in the country’s impulsive rush into the modern world. This exhibition examines the theme of food and our ready consumption of its diversity (both natural and artificial), examining how man’s relationship with nature has in the past yielded both spiritual and medical benefits. Youth drama, Family, Suspense, Animation, Documentary… eight diverse films will be screened at cinemas in 3 cities. All film are new works, most of them screened in 2016. All films will be screened with both English and Vietnamese sub-titles. Introducing around 500 films, including more than 300 feature length films and over 200 shorts from 40 countries and territories such as India, Poland, Brazil, Colombia and South Korea. All films will be screened free of charge at the National Cinema Centre, Kim Đồng Cinema, August Cinema, Ngọc Khánh Cinema, CGV Vincom Nguyễn Chí Thanh and CGV Mipec Tower. The schedule and free tickets can be collected at the sites.